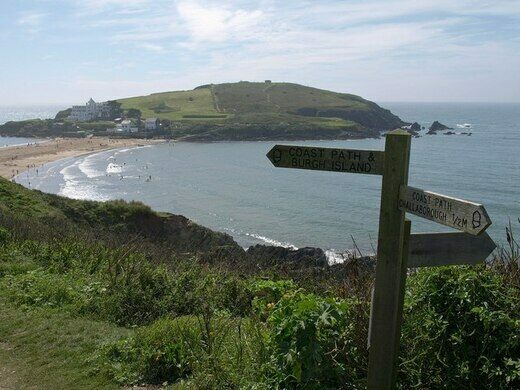 Burgh Island is a small tidal island near Bigbury-on-Sea in England, which is remembered for its association with Agatha Christie and its grand Art Deco hotel. 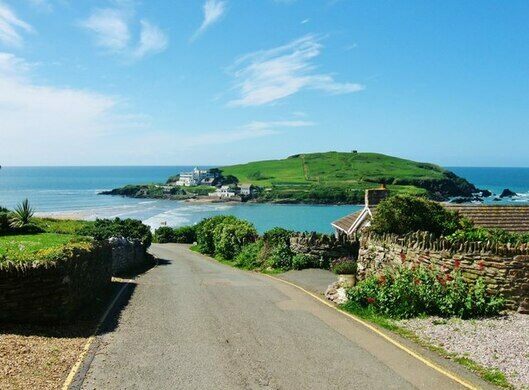 The famous author loved the place so much she used it as inspiration for the location of one of her most famous novels, And Then There Were None. 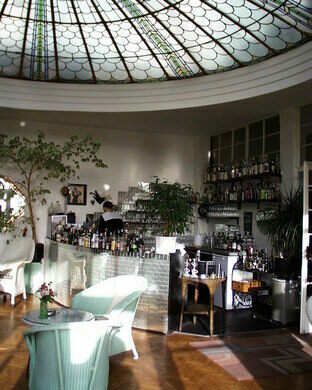 Several other literary notables, such as Noel Coward, have visited the island. 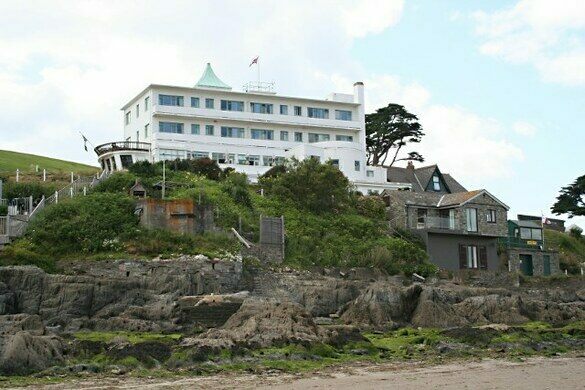 It’s reputed that Prime Minister Winston Churchill and President Dwight D. Eisenhower met on Burgh Island just before D-Day. 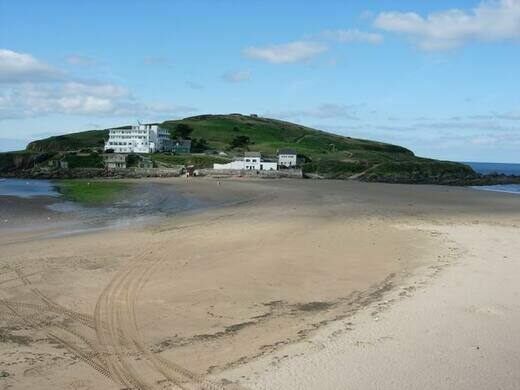 Today the island, which is about 270 yards across Bigbury Beach, is mainly known for two remarkable features: the fantastic, if expensive Art Deco-style Burgh Island Hotel and the unusual means by which the hotel gets its visitors to the island when the tide is high. 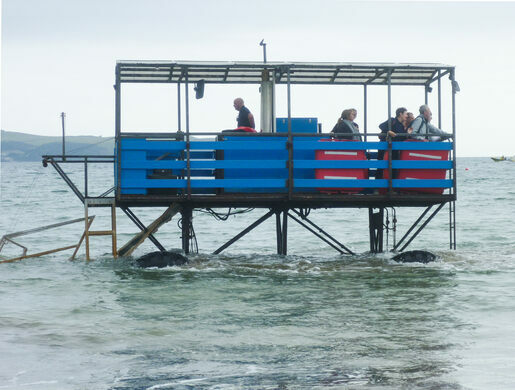 Guests are transported to the island via a sea tractor, which drives across the sand with its wheels submerged while the driver and passengers sit on an elevated platform above the waves. There have been three incarnations of this unique transport system. In the latest version, power from a tractor engine is transmitted to the wheels by hydraulic motors. 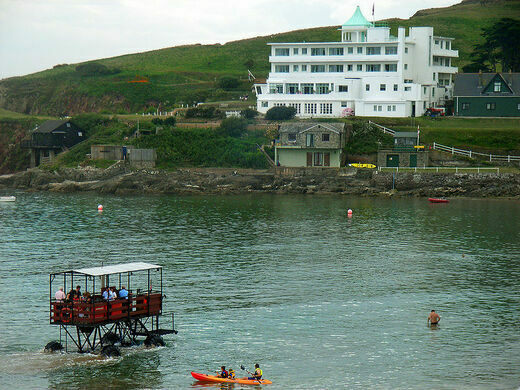 The hotel is a fantastic example of Art Deco style, and it clearly was the main attraction for the island’s famous visitors. It was built in the 1930s with a few subsequent additions including a room created from the captain’s cabin of the 1891 warship HMS Ganges. 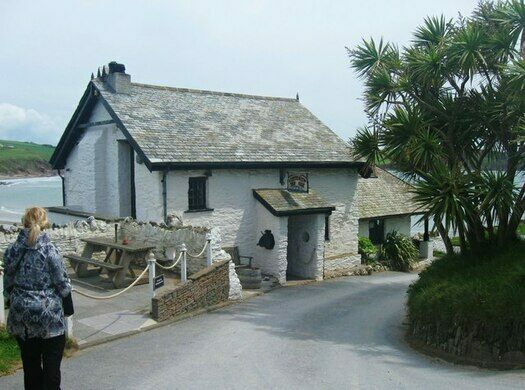 It has recently acquired the nearby Pilchard Inn, a 14th-century smugglers haunt. 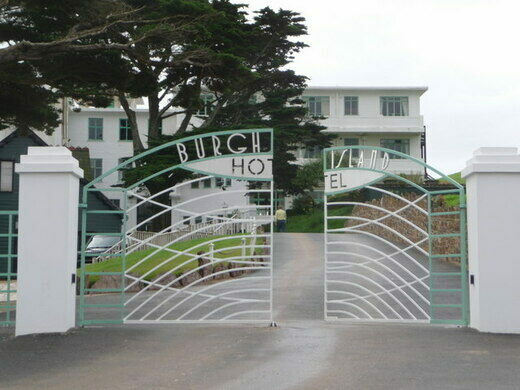 The GPS coordinates lead to the historic Burgh Island Hotel. A disastrous D-Day rehearsal was relatively unknown until this sunken tank was discovered 40 years later. The abandoned fishing village was swept right into the sea. 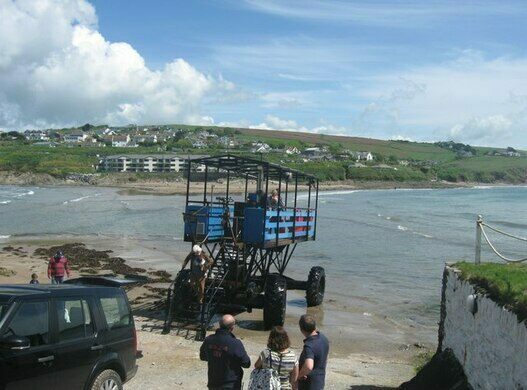 This seaside Scottish holiday rental lets you live out your bookselling dreams.